This event is fully booked. Please email ecommerce@nationalgalleries.org if you are interested in joining a waiting list or call +44 (0)131 624 6494 (Monday-Friday 9am-5pm). To celebrate the publication of Paolozzi at Large in Edinburgh, join us for an evening of poetry, jazz and talks relating to Eduardo Paolozzi and his sculptures in Edinburgh. This new book published by Luath Press is edited by Christine De Luca and Dr Carlo Pirozzi. The evening will begin with a drinks reception when you can sample Paolozzi beer courtesy of the Edinburgh Beer Factory, followed by poetry readings by former Edinburgh Makar Christine De Luca, jazz by Martin Kershaw and a discussion of Paolozzi's sculptures. Ray Bird's short film 'Manuscript of Creation' - which features Paolozzi's iconic 'Manuscript of Monte Cassino' - will also be screened. After this, you will have an opportunity to visit our shop where you can receive a fantastic 15%* off purchases on the evening, and for those customers who purchase a signed copy of the Paolozzi at Large in Edinburgh book, there will be goody bags** on offer. The event is supported by the Italian Cultural Institute of Edinburgh and Edinburgh Beer Factory. *T&Cs apply: 15% discount is valid in our Modern Two shop on the night of Friday 26 April 6.30-8.30pm. Excludes custom prints, Friends memberships, tickets and gift vouchers. Not valid for online orders. Not to be used in conjunction with any other offer. 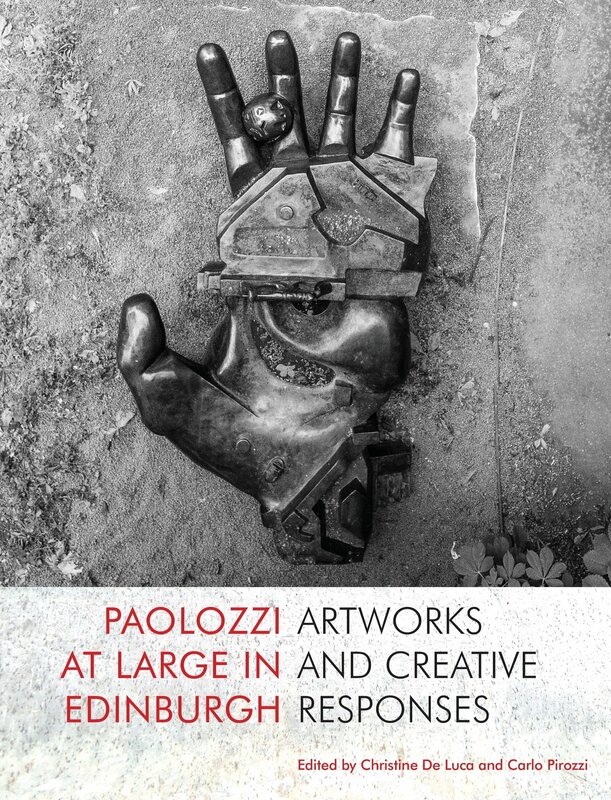 **Goody bags are limited to customers who purchase a signed copy of the Paolozzi at Large in Edinburgh book and are limited to one per customer. Goody bags cannot be exchanged for any other items. Contents may include but are not limited to postcards, books, stationery and posters.